A root canal is a treatment used to repair and save a tooth that is badly decayed or becomes infected. Dentistry at Carolina Forest does a full range of anterior and bicuspid root canals in our Carolina Forest office. 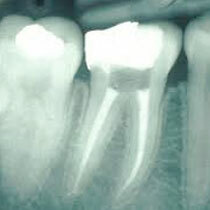 For patients needing molar root canals we refer to an endodonist.